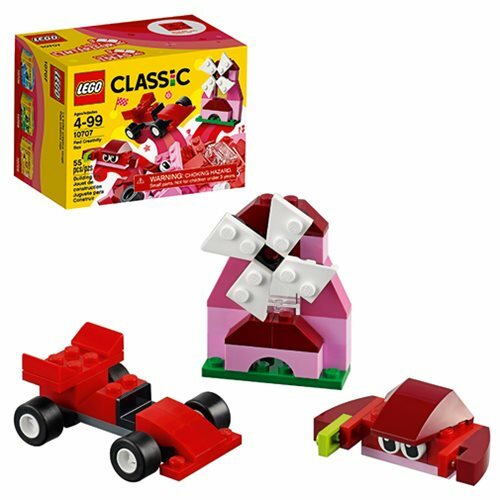 Build, learn and fuel your imagination with this inspirational LEGO Classic set, featuring vibrant shades of red and fun bright colors. Create cute creatures, cozy houses, enchanting castles, trains, boats, planes and whatever you imagine... the possibilities are endless! See the included guide or go online for exciting ideas and inspiration. The LEGO 10707 Red Creativity Box includes 55 pieces. Ages 4 and up.